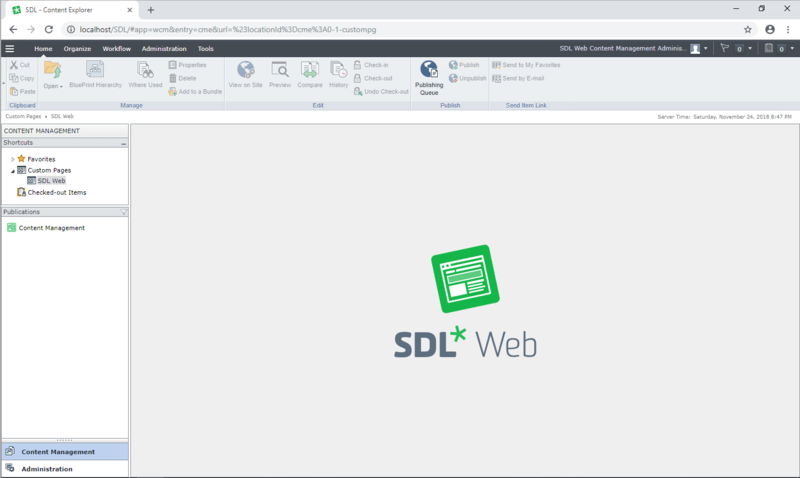 The documentation for Sites 9 is also available at the official SDL Documentation Center, which is, for those that don’t know, powered by Tridion Docs :). Direct link to the Sites 9 documentation here. As I didn’t have a chance to play around with the new release yet, I only have the CM installed at this point, all I have to show are the screenshots below. However, I do plan on writing subsequent/related blogs as soon as I get a chance to play around the system, so stay tuned. Hopefully it will be soon, but in the meantime, feel free to read some of my previous blogs about the announced features of Sites 9.